Dustin Fitzsimons, Jeremie Loncka, Sara Raftery et al. 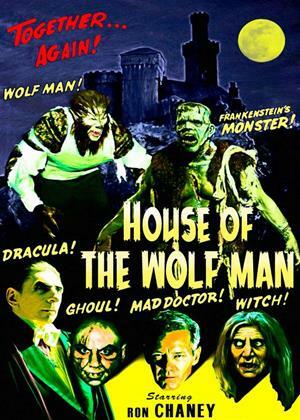 "House of the Wolf Man" tells the story of Dr. Bela Reinhardt (Ron Chaney - grandson of Lon Chaney) and the five guests he has invited to his castle to see which one will inherit his estate. He has arranged for a competition of sorts, and the victor shall be determined through a process of elimination. But it quickly becomes apparent to the five unwitting visitors that danger lurks in every corner, and that the House of the Wolf man holds a secret that could drive anyone to insanity!